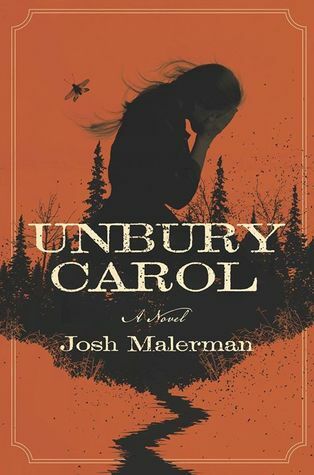 In truth, Unbury Carol is a lot more than a Weird Western meets a twisted fairytale retelling, but I guess I’ll just go with that for lack of a better description. The story took its time getting off the ground, but personally speaking, sticking with it was an investment that paid off in the end. It certainly hasn’t put me off from reading more of Josh Malerman’s work, and I look forward to checking out more of his books in the future. This is a book that I really liked the sound of so was keen to read a review for it. I still like the sound of it tbh but maybe with slightly different expectations. Hmmmm, I’m kind of intrigued, even though it doesn’t sound like I expected! Nice! I think it’s great that the unexpected nature of this story might actually appeal to those who might not have noticed it before! This is one of my most anticipated books this year and I really look forward to reading it (it’s coming in my April Nocturnal Readers Box). I enjoyed reading your thoughts and I think if I can keep my expectations low, then this might be a decent read for me. I’m looking forward to this, but was hoping to see more 4 star reviews, honestly. But a lot of times your 3.5 stars equates to 4 for me, so well see! Haha, that’s true! I feel like I’ve been so picky and harsh on books lately, lol. From the premise this sounded like a breath-stopping (pun definitely intended… 😀 ) journey, but it would seem that the pacing is a little off. Still, my curiosity still holds, so I might end up giving it a try. Complicated when the start is like that bt like you I’m quite intrigued by the idea! I loved getting yer perspective on this one. Yes this book was a solid fun read where Moxie and Smoke really did make the book for me. I loved the time on the trail. It was certainly an odd read but I am glad I read it. Me review for it goes live tomorrow. Arrr! Agreed, the trail was the best! And Moxie and Smoke made the book for me too, thank goodness they came about when they did. From the intro, I was beginning to think this one was going to be a complete dud! I had a very similar experience. It took me quite a while to find my footing, too. I think the setting had a lot to do with it for me. I was confused. Haha. I’m definitely going to keep reading Malerman, too. I had a hard time getting a bead on the setting too. I was like, um, is this supposed to be a historical, a western fantasy, or what? I couldn’t picture the environment, so that might have negatively affected the beginning for me too. I enjoyed this one more than you did. Something about it just really grabbed my attention, but I can easily see how others might struggle with it. It is quite different.